We have built a comprehensive network with a rafting operators in Bali that we have qualified by the quality and pricing, and as the result we can offer the most spectacular white water rafting in Bali. so you don't need to worry that you will wrong choice of a white water rafting operator to handle your rafting holiday, because we have chosen it for you with the best quality in the class but lower prices. 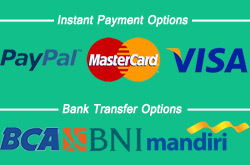 After your order is confirmed, you can make payments with few options, including paypal, credit card or by cash when you arrive in Bali. We are a local company that since 2008 experience as a travel agent in Bali, including adventure activities, water sports, bali cruises, and accommodation. We are a one stop bali white water rafting booking site, feel free to ask your questions and you'll quickly get an answer from our sataff. 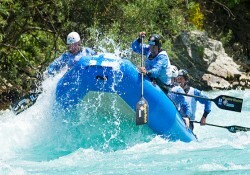 let us handle your rafting holiday and make it easy and affordable.